Yantram Studio specialized in 3D Architectural Rendering, Interior Design, Floor Plan – 3D Interactive, Walkthrough Animation, and Virtual Reality (Interactive Virtual Tour Application) & Augmented Reality Apps Development. Also known as immersive multimedia, virtual reality refers to a computer-simulated, artificial environment that imitates a real environment. 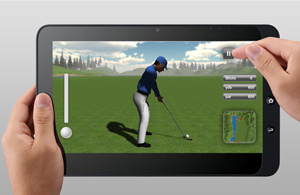 With the help of software, it is presented to the user in a way that he actually believes himself to be in a real world. Its experience is primarily based on two senses namely sound and sight. The most common example of VR is a 3D image explored at a personal computer. 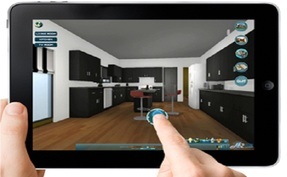 The 3D image can be manipulated by the end user through keys or the mouse. User can zoom in and out of the image and can also make the image move in a desired direction. Facebook’s CEO Mark Zuckerberg has a history of acquiring thriving environment of tech world. After WhatsApp, Zuckerberg turned his attention towards Oculus. He acquired Oculus for $2 billion claiming that he wishes to give VR whole new dimensions besides its typecast use. The first thought that crossed minds were whether this acquisition meant that VR can be used for social interaction. Sure enough, given Facebook’s role in marketing purpose, it can also give marketers quick and easy insights on their campaigns. Couple of applications is already in the design phase. A team at the Zurich University of Arts is using Oculus headset for building an app called ‘Virtual Birdman’. According to a Bloomberg post, this team paired Oculus VR headset with ceiling fan and a chair. The objective is to give users an experience that makes them feel like they are soaring like birds. The next in line is ‘Very Infectious’. Now, this application made use of Oculus to create a world where computer programmers can code and watch the results of coding simultaneously, as done by coder Brian Peiris. With such groundbreaking applications already in use, VR certainly indicates ‘extension’. But how far that will go still remains a question that can only be answered once VR starts showing full-fledged use in other fields. How Promising is the Future? Virtual Reality is in its nascent period, and it will certainly take few years to reach the critical mass. Though its beginning had been crude, its future is enormous. If under the guidance of Zuckerberg, this technology can triumph, then users will be able to get transported anywhere by actually going nowhere. VR surely does have a lot in stock to offer but that will require thorough polishing of this technology and of course, immense patience. Yantram Studio also Offer 3D Architectural Exterior Animation, 3D Interior Animation, 3D Walkthrough, 2D - 3D Floor Plan, Augmented Reality, Virtual Reality, 3D Medical Animation​ 3D Product Modeling, 360 Panoramic Virtual Tour, CAD Drafting Services, Animation Video Productions. Contact YantramStudio.com for your augmented reality services requirement!